Wear your boots to Essex County’s premier Maple Syrup Festival at the John R. Park Homestead. 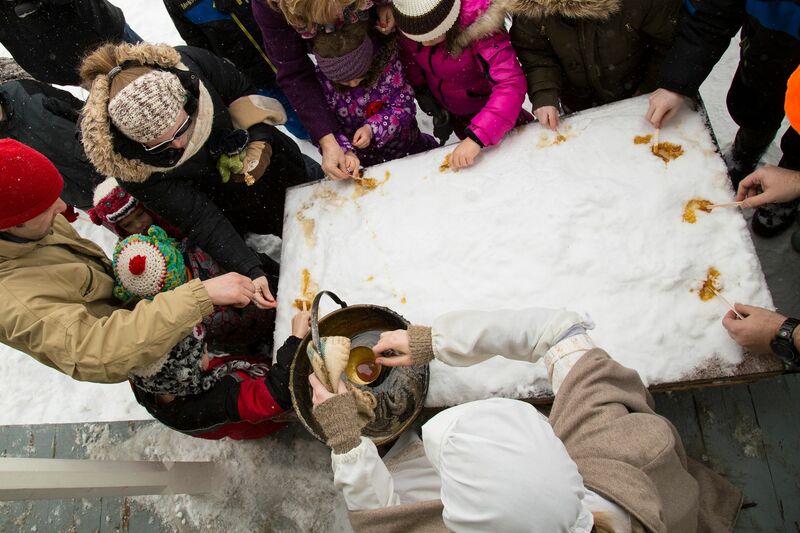 Make maple taffy in the snow, and see syrup being made the pioneer way. Enjoy demonstrations, hands-on activities and more! New this year, we have extended the popular event over two days! On Saturday, the Homestead invites all visitors to don their best ‘lumberjack look’ – get out your plaid jackets and fuzzy toques for this first day of Maple Festival! This day will feature all of the old-fashioned favourites, including pioneer maple making demonstrations of blacksmithing, woodcarving, and more! Also featuring maple themed lunch from a local food truck and live music by Mike Houston and the Woodchoppers! New this year, on the Saturday, the Festival will also feature a Beard and Moustache Competition, a Maple Market, a Mini-Maple Makers’ activity for kids, and more!